On the first day of orientation, a woman (whose name escapes me because the day was a blur of jet lag and exposure to a new culture) stood in front of the new students at Florence University of the Arts. She explained, rather dramatically and over-exaggerated, that studying abroad was two parts: study and abroad. I came to Italy with full expectations to actually care about my classes. Some people consider their semester abroad as solely a time to have fun, relax, and take easy classes that don’t really matter. As a transfer student who needs to complete a major and two minors, I couldn’t just register for class on the history of pasta, book a weekend trip to Prague, and move on with my life….I digress. If you want to read more on how I managed to fit study abroad in and graduate on time (well, hopefully), you can do that here. The classes at FUA, with the exception of language and intensive courses, meet once a week for two and half hours. I thought I would love this; I’ve taken a long night class almost every semester since my freshman year. However, sitting through that much class in the middle of the day isn’t always easy. Luckily, I only have one class most days. I haven’t had much homework other than readings, but as midterms quickly approach, my workload is starting to pick up. Most classes here are graded based on two group projects, the midterm exam, and a final exam. Views of the Tuscan countryside, taken during an experiential learning trip. My favorite thing about classes at FUA is that they are based in experiential learning. In Italian, we spend one of our two classes a week going into the city and practicing our language skills. 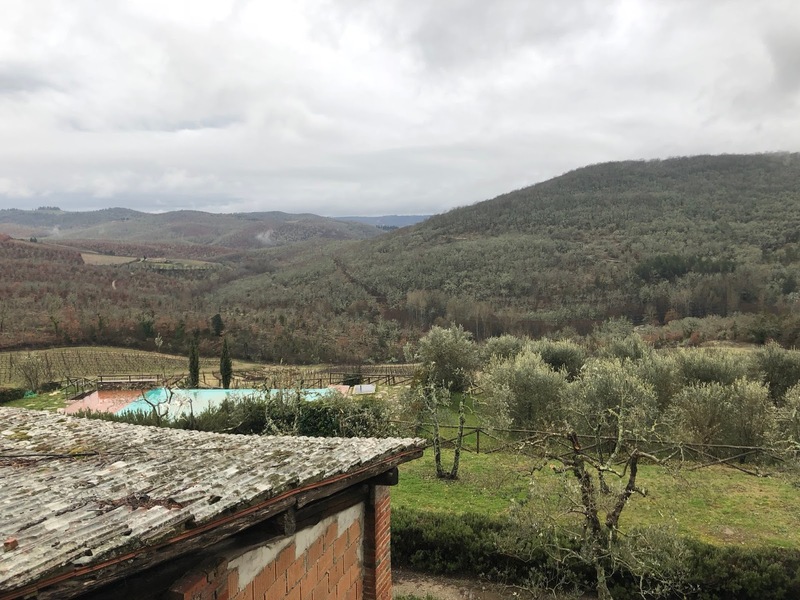 This past weekend, I traveled to the Chianti region with my wine class for tastings and tours. Artist Vincenzo Gualano speaks at the exhibition opening. 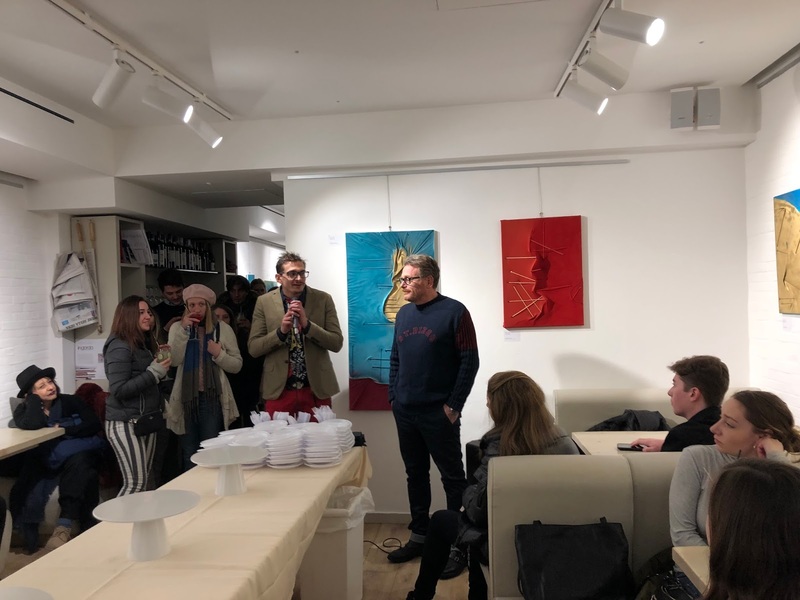 Last week for my gallery and exhibition curating class, we hosted an exhibition opening at Ganzo, the restaurant run by FUA’s culinary and hospitality students. Overall, the academic culture is only slightly different than I excepted: I thought there would be more balance between “study” and “abroad.” There’s clearly more focus on the abroad aspect, but I continue to seek a balance…I am taking these classes as requirements for my major, after all.